This is the first of a regular ‘Fun-damentals Friday’ article I have been wanting to add to the Bootcamp Ideas schedule. Fun – because hopefully they will be enjoyable to you – and also fundamental – because, with the help of yourself, I will tackle a specific fundamental issue relating to bootcamps most Fridays. It could be about business, marketing, motivation, client retention, workout planning or anything else that is useful to you running a bootcamp. Let’s get started on today’s topic, business names. Naming your bootcamp can be agonizing. I spent ages thinking over the name to my first bootcamp. 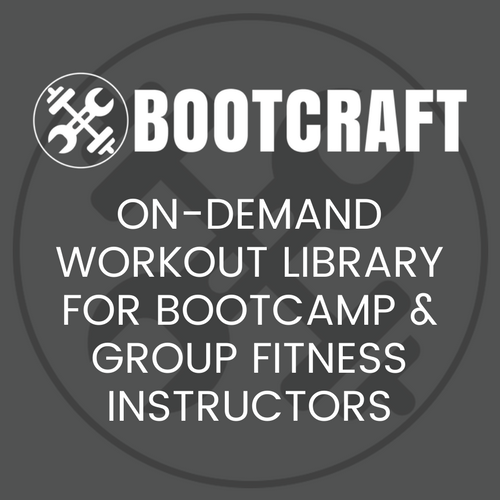 In the end I called it FITCAMP because I didn’t want it to sound like a bootcamp. At the time I just wanted to get people moving more and doing some exercise. I was really just making things up as I went along – which by the way is an awesome way to do things – and so I made up a name too. After that fell through I sought out someone to help me and found a small studio called See Change PT (where the tag line was: Nothing Changes if Nothing Changes). We ended up starting a bootcamp there which creatively we called See Change Bootcamp. Just 3 years later after a lot of learning and experimenting the bootcamp was doing awesome with 10 sessions a week and 80+ attendees. I included that part not to show off, but for those of you who while reading this have started thinking ‘Oh no! I need to change my bootcamp name!’. You don’t need to change it, it’s fine the way it is. You can grow a big bootcamp with the silliest of names. For those of you who are going through this process, I decided to reach out to some other trainers for their stories to help you get some ideas. I got a huge response so I just picked out a few favourites. If you are trying to think of your bootcamp name, these will really help you think outside the box when coming up with a business name that reflects your personality. As you can see there is a huge array of bootcamp and business names there with many different meanings. Now the ideas are flowing, follow these steps to get your name registered. Come up with 3 or 4 names that you like. There will always be a favourite but get a couple others just in case someone has already registered your favourite. Now check if you can register is as a business name, sometimes your name will already be registered. In Australia one can check on ASIC. Once you find one that is available go ahead and register it. In Australia you will need an ABN or ACN. Again head to ASIC for this. You will need to pay a fee and will then need to wait several weeks for the application process to complete. I honestly don’t know a whole lot about trademarks other than it requires a separate application and it can be an expensive process. For the uses of your small bootcamp though, you probably don’t need one. If you want to go down this path I would recommend getting help from a solicitor. Before we go, for those of you who have already been through this process, what is your bootcamp name? And how did you come up with it? Next week on Fundamental Fridays I am tackling the topic of reaching your first group of 10 clients. I think even if you are past that point you will find it useful. To not miss out join our free email list.